The Foodbank concept has been overwhelming in developed countries like America, Australia and the Russian Federation. The movement is helped a lot by the local chiller truck rental companies. However, Dubai has come up with its own Food Bank organization chartered by Dubai Government and Mohammad bin Rashid Al Maktoum Global Initiative (MBRGI). 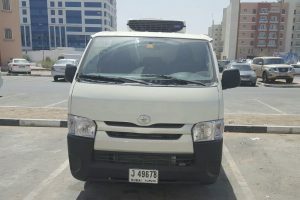 Founded last year in January, this non-profit charitable organization is the first food bank in the Emirates Penisula. The aim is to eradicate food wastage by connecting local and international charities, restaurants hotels, supermarkets and the poor communities who are in need of good food and help them save their hard earned money. The vision of saving food is based on four key points. Rescuing, storing and distributing excess food. Become regions largest humanitarian organization. Recycle non-edible food, useful in fertilizer and energy generation. Make Dubai the first city in the region to achieve zero food waste. Besides the humanitarian aid, the project aims to achieve various economic and environmental goals in the region. The project aims to save more than 200 million AED annually by saving excess food across UAE. Furthermore, by utilizing wasted food for energy resources, more than 13 billion AED annually can be saved. Hence, both economic and environmental advantages of the Food Bank are helping UAE towards sustainable living in the region. 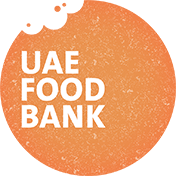 The UAE Food Bank has a well-connected food chain system. From cold storage to refrigerated vans and chiller truck rental companies. Collecting excess food from various merchandises, storing them in a safe and healthy containers and distributing them to targeted consumers. Cool Freights L.L.C, a leading refrigerated transport company in Dubai. An affordable and quality conscious having a fleet of more than 50 refrigerated vehicles. Owing to high demand, we are ever ready for any booking or short notice deliveries. To get a free quote, call on 050 8979 457.